Aloha! It feels like I have not written a post in YEARS but here I am. And it certainly has not been years but it has been a while. Thankfully I had a spurt of writing inspo a few weeks ago and managed to prep enough posts to keep me going until now so it won’t seem like I have not been around. But I wasn’t. And now I am back. And best of all I am chatting about a few FAVOURITES of mine today, which is something I really have not done in a good long while. As we head into Autumn, the exposure to our skin shifts slightly (in both negative and positive ways) and you’ll alter your skincare in order to keep up with the change in season. As a beauty blogger I am constantly trying and testing new ranges of skincare. No matter how much I love one brand and no matter how much a particular skincare routine works for my skin, I have to keep trying new launches and releases in order to bring you guys the good, the bad and the ugly. Oh, I hear you, poor Rayne. NOT. But trust me I have had enough bad reactions and breakouts from new products when I KNEW it would happen, just to be able to report back on here. So today’s post is going to feature my top four Go-To masks for those weeks where the weather is turning and your face may have taken a real beating. And I have called the post my current favourites but a few of them are old time loves of mine. And because not everyone is blessed with terribly dry and dehydrated skin like I am, my lovely friend Simone is writing up her own post for all you oily/combo skinned peeps. Don’t forget to read Simone’s post on her top picks of facemasks for oily and combination skin. And while you are there, I suggest you read every other post on her blog. She is one of the BEST writers I know and she gets me in hysterics with her real-life anecdotes. Such a winner! 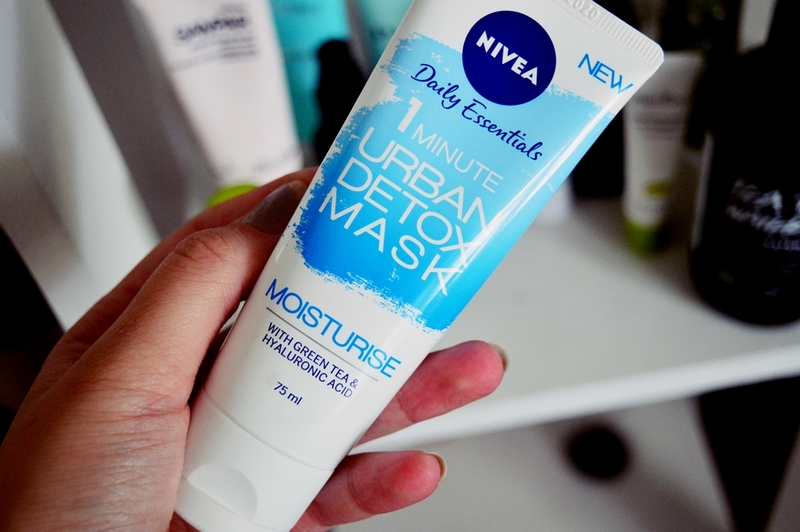 This mask was featured in my most recent skincare post. The moisturizing variant from this NIVEA range is a low-budget, time conscious option that seriously impresed me. And let me assure you, I am a SUPER discerning mask lover. This range of masks offers three variants (of which two are available in SA) and each mask contains one active ingredient. The Hydrating mask’s ingredient is hyaluronic acid (which I luuurve). This assures that the skin is intensely hydrated as well as detoxes simultaneously. This really is, in my opinion, the BEST budget buy in the mask category. I have written a post on this mask here. I first began using this product (almost) two years ago and it is still a firm favourite of mine. On days where my skin is looking dull, a bit beaten and tired, this perks it right up. 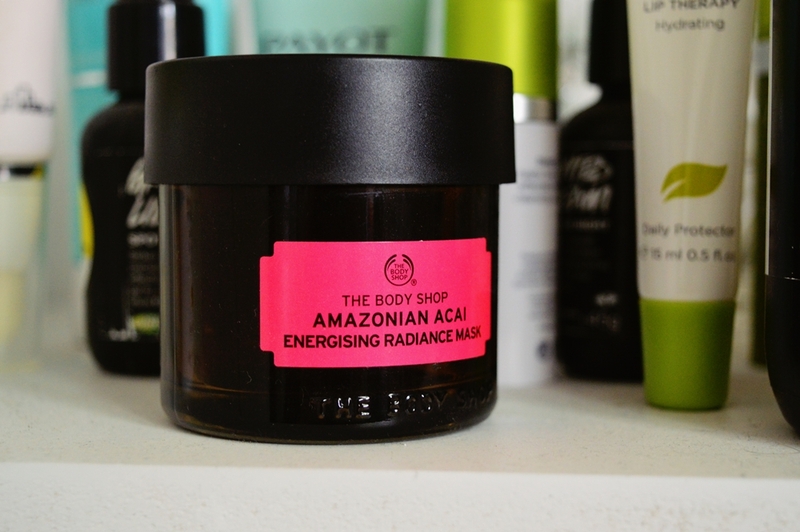 The main ingredients are acai berry extract, guarana seed extract and community trade organic babassu oil. These ingredients help toward improving the look of fatigue while softening, smoothing and revitalising the skin. It is also handy for when your skin is feeling congested. For me, this works best on that week leading up to my period where my skin is hormonal and I know there will be pimples popping up at the drop of a hat. This masks keeps them at bay while giving my face an overall “healthy look”. Such a favourite. This is another mask that I have been using for over a year now and which I have already spoken about on here. This is a real splurge on the average pocket but it is WELL worth it! The ingredient list is impressive; the active ingredients include patented PHA/Bionic blend of Gluconolactone and Lactobionic Acid. 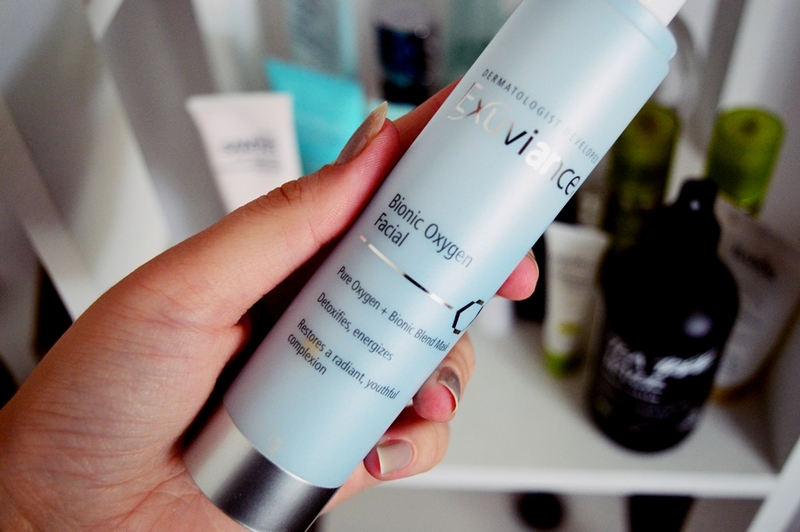 The addition of triple oxygenating molecules help to invigorate and energise the skin. And I really, really really really rate this mask highly. No matter your skin type actually, it is the perfect mask to perk up tired and dull skin for a special occasion. Kindly ignore my ratchet nails. This packaging is SO difficult to photograph that I completely zoned out on the other details. And there you have it, my top three masks for dry and dehydrated skin. The beauty of this post (haha, pun unintended) is that these three masks fell into very different budget brackets. And that was completely unintentional! Don’t forget to check out Simone’s post over here if you have dry to oily skin. Or just for a great laugh! TIP: Search her blog for the posts where her darling son, Adam, destroys some of her most prized make-up. You won’t know whether to laugh or cry!